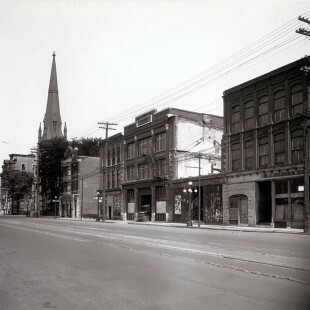 The picture shown on the postcard was taken before a lot of key buildings of the downtown core were built. 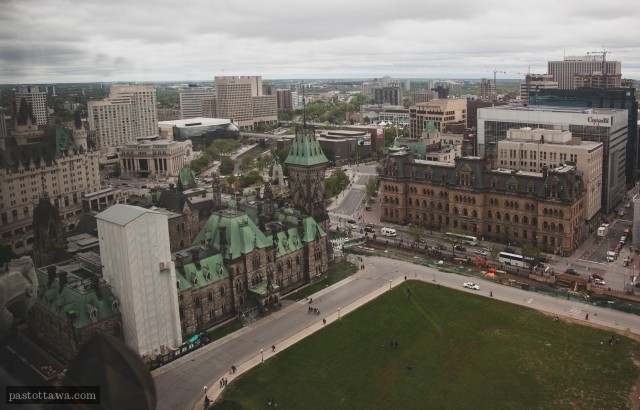 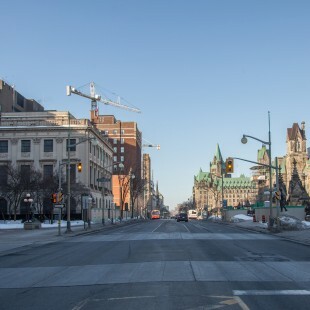 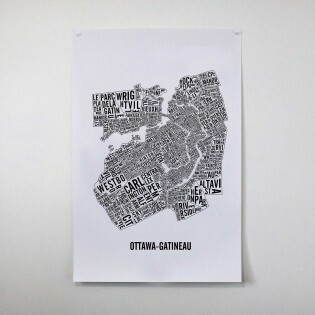 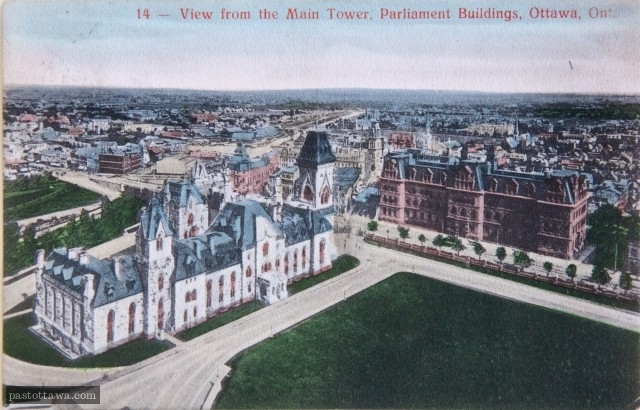 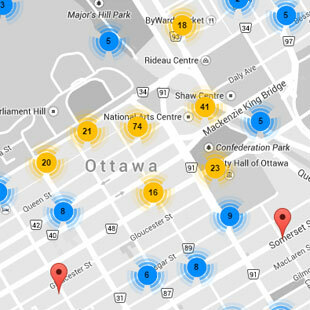 Only the East Block and the Langevin Block were standing at the time. 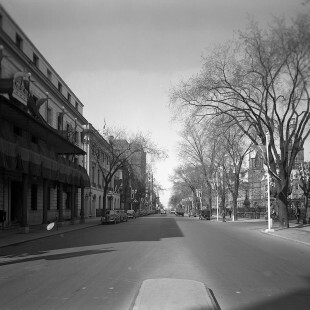 The triangular block Sparks-Elgin-Wellington looked far busier back then before they decided to demolish it and build the War Memorial. 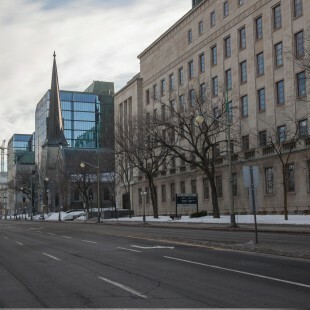 Please note that the angle is slightly different since the previous main tower of the Parliament was shorter than the existing Peace Tower.